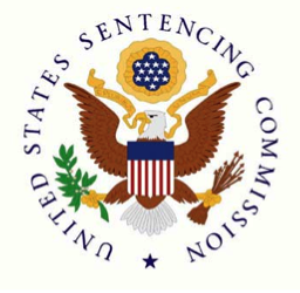 The US Sentencing Commission Friday voted unanimously to make previously agreed upon federal drug sentencing reductions retroactive. That means tens of thousands of federal drug prisoners could see sentence cuts beginning in November 2015. The move comes after the Commission's April decision to amend federal sentencing guidelines by lowering base offense levels in the guidelines' Drug Quantity Table across all drug types, which should lead to lower sentences for most federal drug offenders. Today's vote means that sentencing judges can extend that reduction to people currently serving drug sentences. "This amendment received unanimous support from Commissioners because it is a measured approach," said Judge Patti Saris, chair of the Commission. "It reduces prison costs and populations and responds to statutory and guidelines changes since the drug guidelines were initially developed, while safeguarding public safety." "We did it! We got full retroactivity of the drug guideline amendment," an elated Julie Stewart, president and founder of Families Against Mandatory Minimums (FAMM), wrote to supporters. "Because of your help, 46,000 federal drug offenders sentenced before November 1, 2014, will now be eligible to file a motion in federal court asking for a shorter sentence. The average sentence reduction for those who qualify will be two years!" The Sentencing Commission had asked for public input on its pending decision and was swamped with some 65,000 letters. FAMM took credit for much of that. "I am thrilled with this outcome, especially because we did it together," Stewart wrote. "With your help, we generated most of the 65,000 letters the US Sentencing Commission received about this issue. And more than two dozen FAMM supporters were present with me in the hearing room when the Commission voted in favor of full retroactivity. All of us were overjoyed at the result." It is not quite a done deal. Congress has until November 1 to reject the amendment to reduce drug guidelines. If it fails to act by then, federal courts could begin considering petitions for sentence reductions, but no prisoners would be released under the reductions until November 15, 2015. "The delay will help to protect public safety by enabling appropriate consideration of individual petitions by judges, ensuring effective supervision of offenders upon release, and allowing for effective reentry plans," Saris said. Look for a Chronicle feature article on this ground-breaking move early next week.